Subfloors are part of your house’s foundation. Your house’s structural integrity comes from how strong your flooring system is. You’ll also need to have strong foundation footings, properly spaced support columns and appropriate sized and spaced floor joints. A poorly structured flooring system can have several negative consequences. Sagging subfloors, separation of flooring, movement of the floor system, unbalanced heights and squeaky subfloors can all develop from a poorly structured flooring system. Once you have a stable and durable flooring foundation, your subfloor will create a base for your actual flooring. There are several types of subfloors, and it’s important to know the subfloor that you need depending on the type of actual flooring that you plan on installing. Plank subflooring is used a lot in older houses. 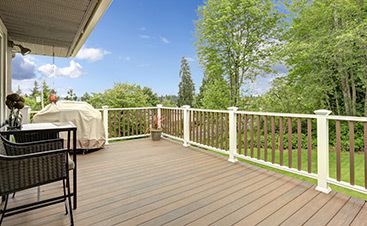 Usually, planks are made from pine boards that are nailed to the flooring joints. Before you install new flooring, you need to be sure that each plank is securely fastened to the floor joints. If they aren’t, you’ll need to securely fasten them before you install your new flooring. Once planks have been securely fastened to the floor joints, you need to be sure that they’re flat so that you don’t have an uneven floor. With plank subflooring, you can install any type of flooring that you prefer. If you plan on installing solid flooring, you need to be sure to install the lengths of the boards perpendicular to the subfloor planks. If you don’t, you’re taking a risk of having your new flooring pull apart with expansion and contraction of the plank subflooring. If you want to install the solid flooring in the same direction as the subfloor planks, be sure to install a layer of plywood over the plank subfloor to increase strength and durability. You’ll also need to do the same for engineered flooring if it’s stapled or nailed down to the subfloor planks. 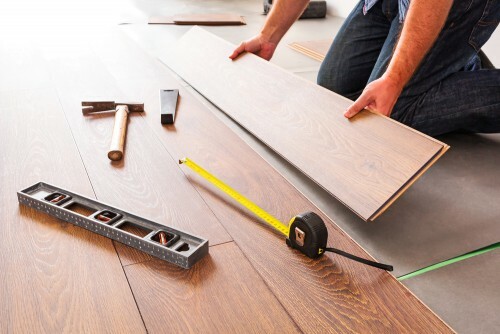 If you plan on installing an engineered floor or laminate using a click lock floating floor, you’ll need to make sure that your plank subfloor is even and flat. If it’s not, you’ll need to install a layer of thick plywood prior to installing your new flooring. Before you install a concrete slab subfloor, you need to be aware that it takes three months or longer for the water in the mix to evaporate and for the subfloor to dry out. 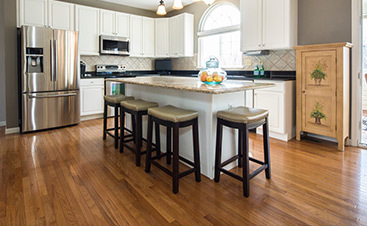 Before installing hardwood flooring, you need to be sure that you perform a moisture test. If you have uneven concrete slab subfloors, they can easily be fixed by using a self leveler. If you use a self leveler agent, it may take between one to eight hours for it to try, depending on the thickness when it was poured. If you have any remaining adhesive residue, be sure to clean it off with a scraper. You won’t be able to install ¾ inch thick solid hardwood flooring because there will be too much moisture transferring from the concrete, and the thick solid hardwood flooring can’t withstand the moisture. If you install ¾ inch thick solid hardwood flooring, you’ll have warping, buckling and cupping of the boards. 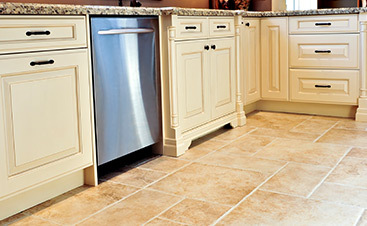 Engineered flooring was designed to go over concrete slab subfloors. Engineered flooring can be installed by glueing it down or floating. Always be sure to perform a moisture test to ensure that your concrete slab subfloor has less than four percent of moisture year-round. Plywood is the most common material used for subflooring in houses built within the last 40 years. Usually, plywood is made out of cross layers of birch or pine. The cross layers in plywood subfloors offer benefits such as reduced splitting, reduced warping and reduced expansion and contraction. Before you install new flooring on plywood subfloors, be sure that subfloors are flat and securely attached. You’ll be able to install any type of flooring over plywood subfloors. Particle boards are usually found when old carpet gets ripped out of houses. You should never install new flooring over particle boards. Particle boards aren’t structurally appropriate for installing new flooring. Particle board easily absorbs moisture, and it quickly falls apart. OSB is made out of wood chips glued together. Usually, these subfloors are both glued and screwed down to floor joints. Screwing OSB to floor joints makes it more stable, and it eliminates squeaking. Engineered hardwood, solid hardwood, laminate and click lock floating floors can be installed over OSB. Be sure to install flooring planks perpendicular to the flooring joints for added stability. As you’ll notice, plank, plywood and OSB subfloors are the best to install in houses. All of these sub floors are durable, strong and stable. With these subfloors, you no longer have to worry about squeaking anymore.